Mr. Candelario's primary area of expertise and experience is in Facilities Management, Operations and Maintenance, and Base Camp life support services. His secondary area of expertise and experience is in the Transportation field with over 20 years of combined civilian military and contractor experience. Mr. Candelario is an accomplished team leader/mentor and has achieved numerous milestones as a Site Manager on LOGCAP projects II, III, and IV, in Bosnia, Iraq, and Afghanistan with over 16 consecutive years. He has held positions of leadership and responsibility ranging from foreman to Site Manager with over 9 years as a Site manager in LOGCAP He was on the Site Management Team to transition and operate Sites in Afghanistan. He has been the Site Lead/SME for the Base Camp Closure team in deconstruction, disposal, Transportation, and equipment/material accountability for several Sites in Bosnia. Mr. Candelario was the SME/Site lead for off site Temporary Base Camp Life support area construction, Operate and maintain and de construction in support of the US Military missions in Bosnia. While on LOG CAP II (Bosnia) Transportation he planned and executed LOG CAP Convoy operations throughout Europe, including Italy, France, Germany, Holland, Belgium, Macedonia, Romania, Bulgaria, and Croatia. His performance has gained him customer recognition in the USA and abroad. He was recognized by BHP Billion Engineers for completing the fastest multi-well production facility built in BHPB history. For work performed for the US Military he was recognized by the Defense Contract Management Agency for cost savings. He received The US Army Commendation Medal Award on two occasions for support provided to U.S. Government personnel assigned too overseas duty in combat zones. 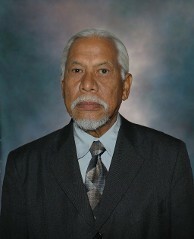 Mr. Alexander Candelario was born on September 25 1947 in Hilo Hawaii, a Native Hawaiian. He joined the Hawaii National Guard upon graduation from High School he worked at Kohala Sugar Company until called to active duty in 1968 as a Hawaii National Guardsman as an Infantryman after 2 years he enlisted in the Regular Army in 1969 until he retired from the US Army in 1988. During his active duty service Mr. Candelabra has held positions of leadership ranging from Team Leader to First Sergeant. Mr. Candelabra is an Airborne Paratrooper, he has attended NCOES career development courses in US Army Transportation Corps and a graduate of the US Army 1SG Academy He served as a Senior Non Commissioned Officer in positions of Leadership and on Staff in the Transportation Corps with the 82nd Airborne at Fort Bragg NC, before retiring in 1988 with over 22 years of Honorable service and a disabled veteran. Upon retiring Mr. Candelabra spent the next several years as an OTR truck driver on the Eastern seaboard from North Carolina to New York and still holds a current Class A Commercial Drivers License from Wisconsin. He has also operated a Greyhound Bus along the Eastern Seaboard from Florida to Massachusetts. He was employed as an Assistant Warehouse Manager, Forklift operator and a CDL Truck driver for Cape Fear Food bank while attending night classes at Fayetteville Technical College until 1996 when he hired on with Brown and Root Services in Bosnia LOG CAP II.